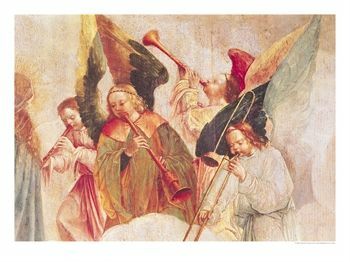 I recently came across Assumption of the Virgin, the painting from which Musical Angels, a relatively common detail of the Frei Carlos painting, is extracted (see 16th century trombone history timeline). 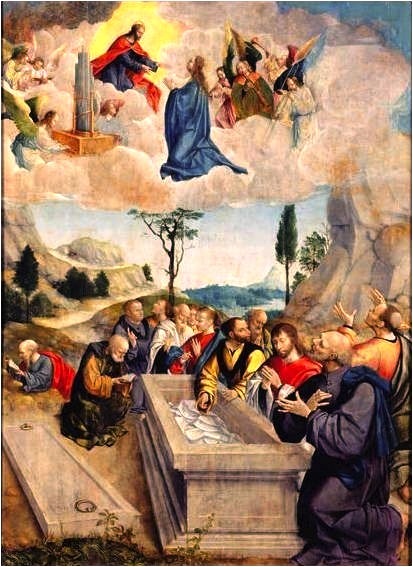 The full painting (the bottom image, below) can be purchased from Superstock and is helpful because it provides context for the subject matter. The middle detail can be purchased at AllPosters, among other places. The closest detail is nice because you can see the small cracks in the paint, an effect that has its own beauty (see this detail of the Mona Lisa). The effect actually has a name: craquelure, or the pattern of cracks that develops as paint ages. 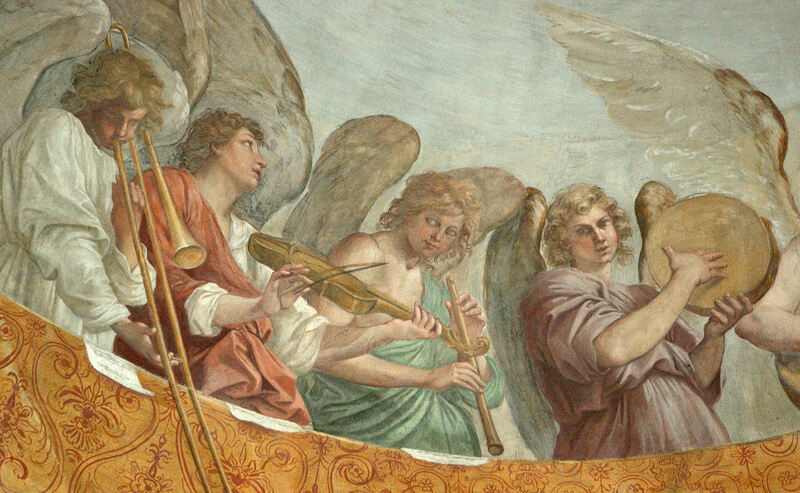 As I mention in an article called How to Hold a Sackbut (yes, quite the silly title), the bell of the angel’s trombone appears to have been retouched, resulting in an unlikely bell flare. If you look closely you can see a hint of what appears to be the original more gradual bell flare under the dark gray-green paint. 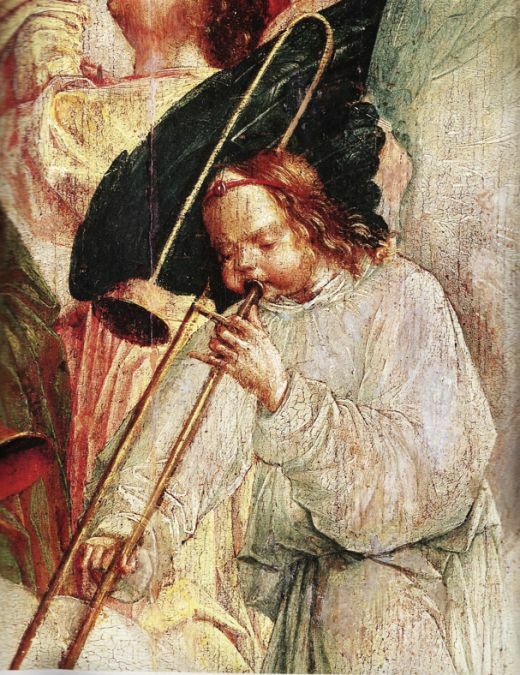 c. 1530—Musical Angels, a detail from Assumption of the Virgin by Frei Carlos, a Flemish monk who worked in Portugal, depicts angels playing trombone, shawm, and pipe (or recorder) (see below image; public domain) (Lisbon, National Museum of Ancient Art).